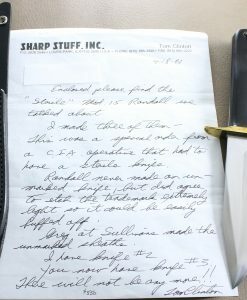 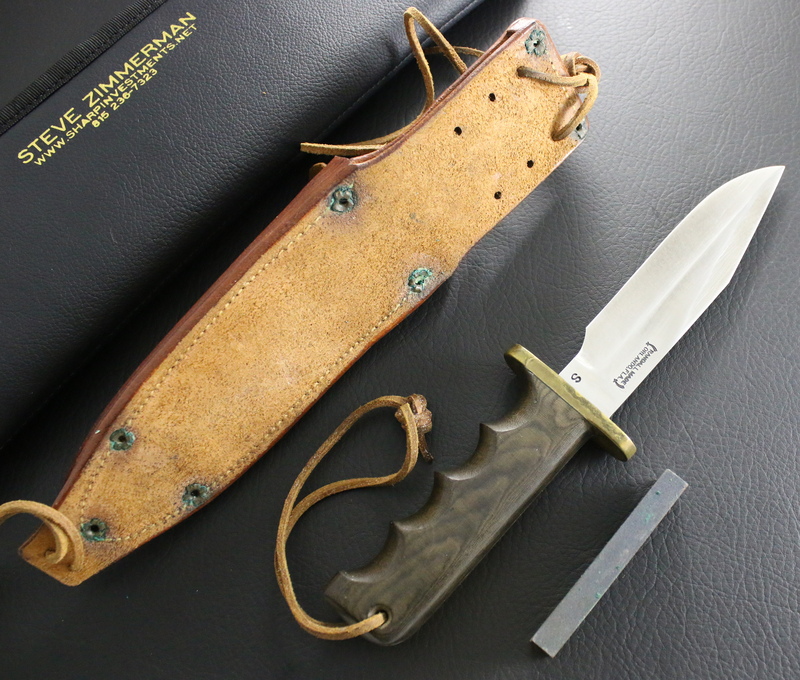 Randall – Model # 15. 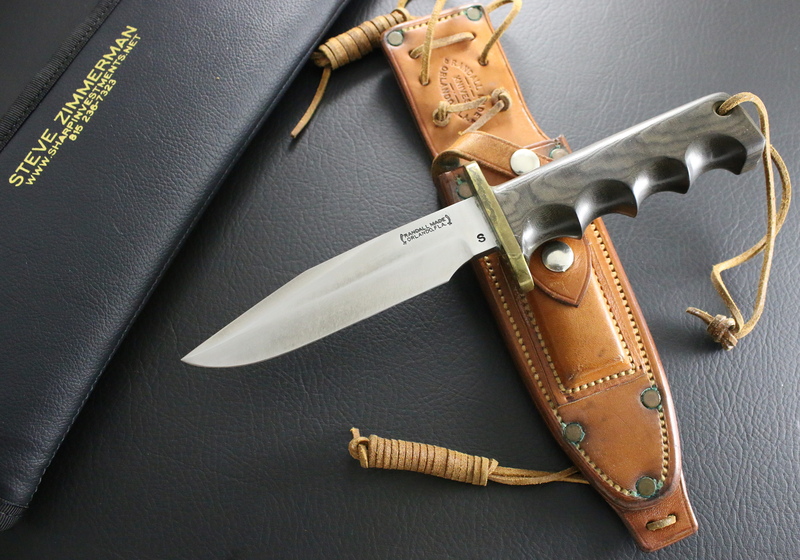 Blade – 5 1/2″ stainless steel. 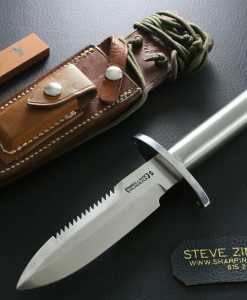 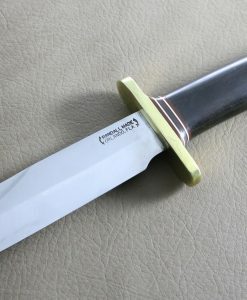 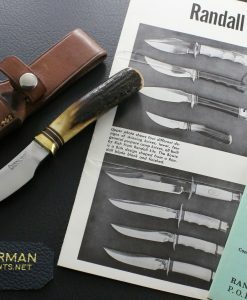 Randall Made Knives stamped the stainless blades low on the ricasso from 1964 – 1965. 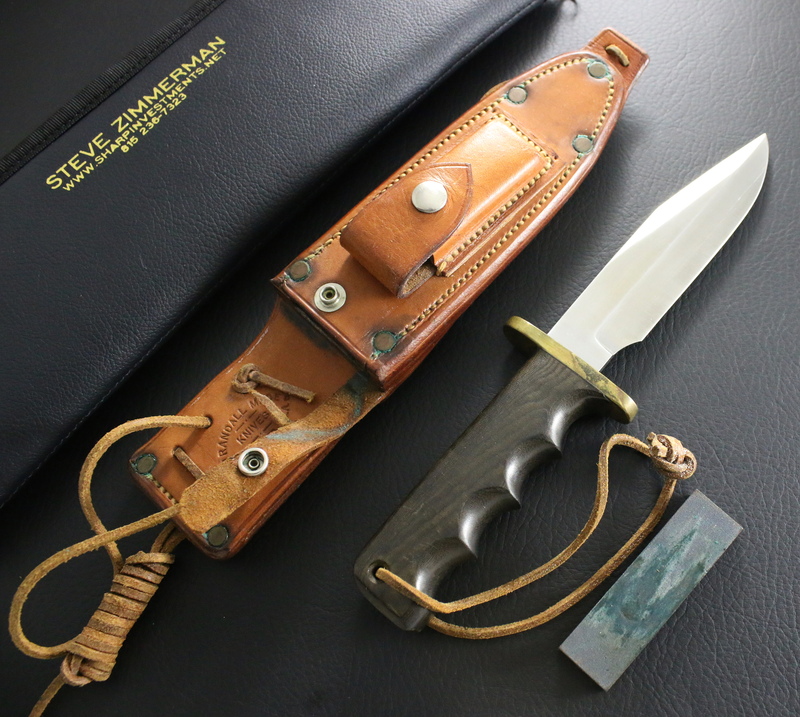 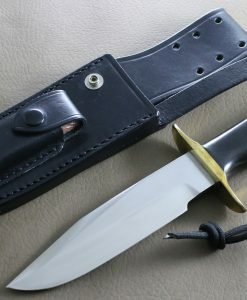 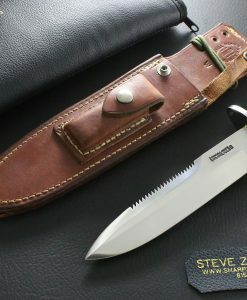 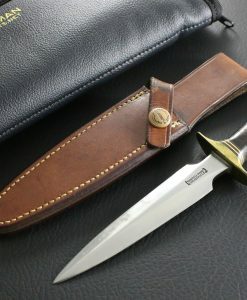 Sheath – Johnson roughback Model “C” with original leather ties. 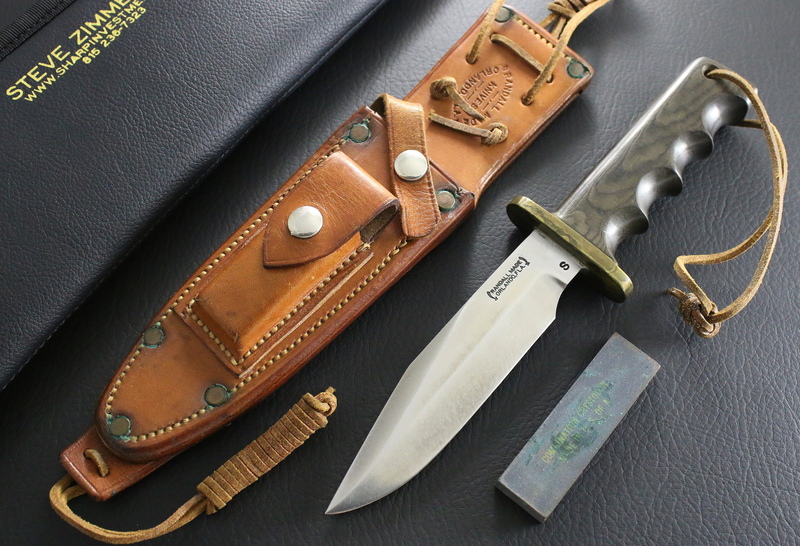 This is a very rare Randall with high end condition.